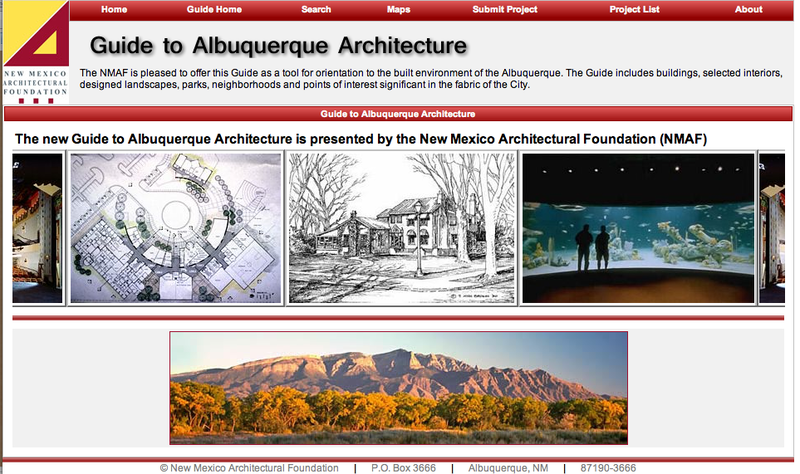 The Guide to Albuquerque Architecture was created as a tool for orientation to the built environment of the Duke City. The guide included buildings, selected interiors, designed landscapes, parks, neighborhoods and points of interest significant in the fabric of the city. The original guide no longer exists … but soon it will be revived!